Tim has an update on the mini-Arcade project. 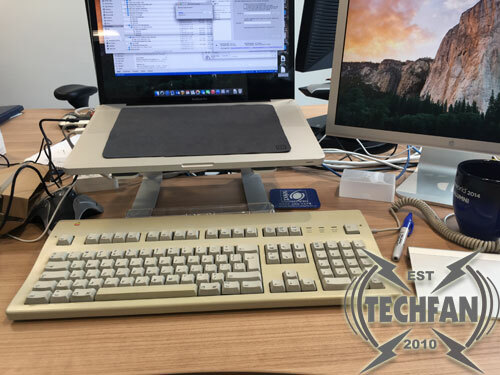 David purchased an Apple Extended Keyboard II and explains how to get it to work with a modern Mac. Adobe makes a business decision, more on streaming services and car audio, and David plays with the new MacBook.